Email Marketing is changing, Stats don’t lie. All we have to go by are these statistics that show how people feel about certain things and what we can do to overcome them. 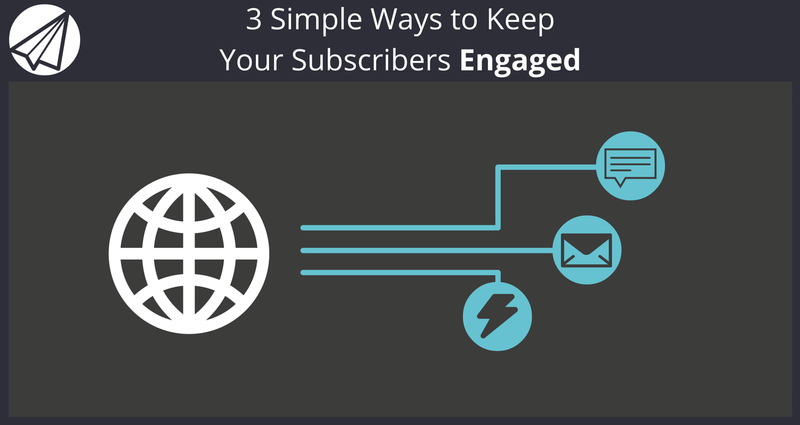 If you want to keep subscribers captivated then read on. If you are not getting the open and click through rates you want from your group of subscribers, you need to ask yourself one of two questions. Do you want to find a solution? Let’s focus on positive thoughts. We’re going to figure out how you can get your subscribers captivated. The money is in the List. But you already know that. Let’s look at how we can maximize the potential and limit retention by optimizing your emails. Let your subscribers choose what they want. When you go to a restaurant, you can order something a la carte, all the way up to a full course meal. Give your subscribers that same option. So let’s face it, not everyone is the same. Not everyone wants to receive X amount of emails a day, week or month. Understanding that shows that you care about your readers. This is one small thing you can do to bring happiness to your subscribers. For example, if you are sending one email a day, why don’t you try to create an a la carte option where they can receive one to two summary emails a week instead? Create a different list for your readers to opt in. You will make your subscribers happy. This way they have less opportunity to be annoyed, since they won’t be bombarded with more emails than they expect. You will see how many people want to “participate” in this option. That really shows you something doesn’t it? Your subscribers signed up because they like you. If they aren’t bombarded with emails, there is no reason for them to stay and less reason for them to go. If you are going to send an email, set a schedule. Let’s say you decide to send two a week on Monday and Wednesday. Stick to that schedule. Then let your subscribers know what to expect. By creating expectations, your readers will be more conscious of when the emails will arrive and will be more willing to receive them. Here’s the cool part. If you have something very exciting for them to read, you don’t have to schedule that content at your normal time. Why? Because they will get excited too. When you send your campaign, just let them know that the information is so exciting that it couldn’t wait. If you are all about selling products in each email you send,, how will that make your subscribers feel? Everything you send off goes to a real human being. These people experience different emotions each minute, hour, day, week, etc. One day, they are opportunists. The next, they need some encouragement. The day after that, they need to feel accepted. And it just goes on and on like this. Just because you send them an email promoting a product or your business, that doesn’t mean that you don’t engage with them. You need to talk to them as a person and understand them. Change things up! If you write an email campaign, why not change a few pieces of content, like the images and the words, then send them at a different time and day? Are you being too pushy and selling too much? Instead of thinking about what you can take from your subscribers, start to think of what you can do for them. So try these things out. Use Sendlane’s email marketing software keep subscribers captivated and they will thank you for it. Your first priority is to make your subscribers/customers happy. Let them know it. Then once you deliver, you will see your conversion rates rise.